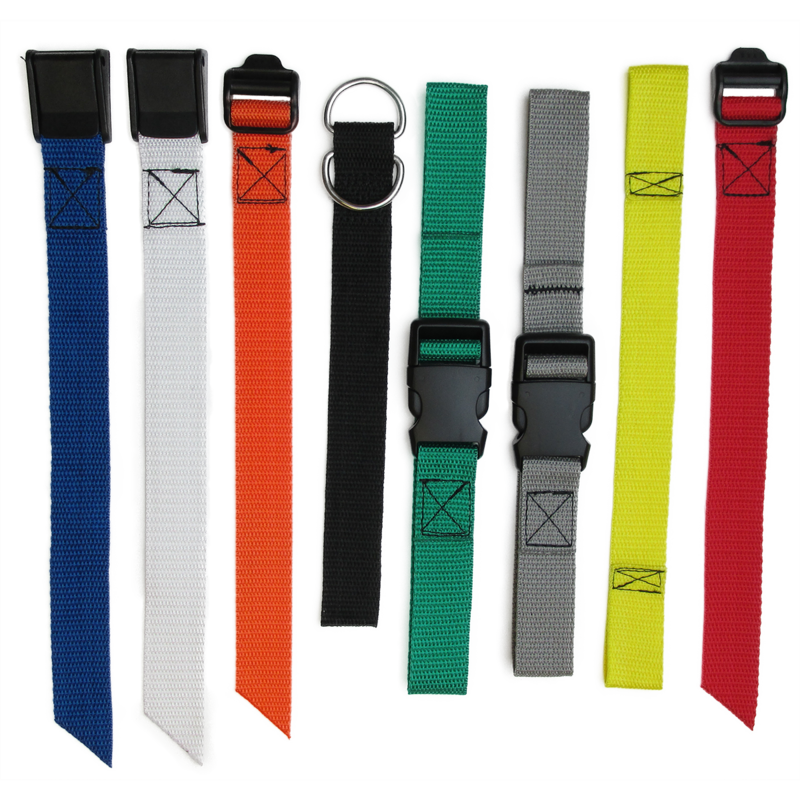 Textol Systems Inc., an industry leader in manufactured Velcro® Brand straps, is proud to offer Custom Straps and Tie downs manufactured from high quality Polypropylene, Nylon, and Polyester Webbing Widths - 3/4”, 1”, 1 1/2”, and 2”. Choose from a selection of in stock straps or customize your own. In stock straps typically ship same day if order placed by 2:00PM EST. Polyester Webbing: Black and White. (Printing available. Please contact us for more details). Offered in any color, any size, with any attachment, or alteration. 50 piece minimum order quantity per size and color. Perfect for outdoors, UV, and mildew resistant. Not recommended for high abrasion applications. Tensile strength - 450 lbs. to 900 lbs. Tensile strength - 675 lbs. to 1350 lbs. Recommended for high abrasion applications. Not recommended for outdoor applications due to water absorption, and UV which causes degrading of tensile strength and mildew issues. Tensile strength – 2375 lbs. – 4250 lbs. The best of both worlds, Perfect for outdoor, UV, and mildew resistant. Tensile strength – 2600 lbs. – 4970 lbs. Note: Plastic buckles and attachments are not load rated.